Toss N Drop is played on a 3 feet by 4 feet playing field. The object of this game is to score as many points as you can in one minute. 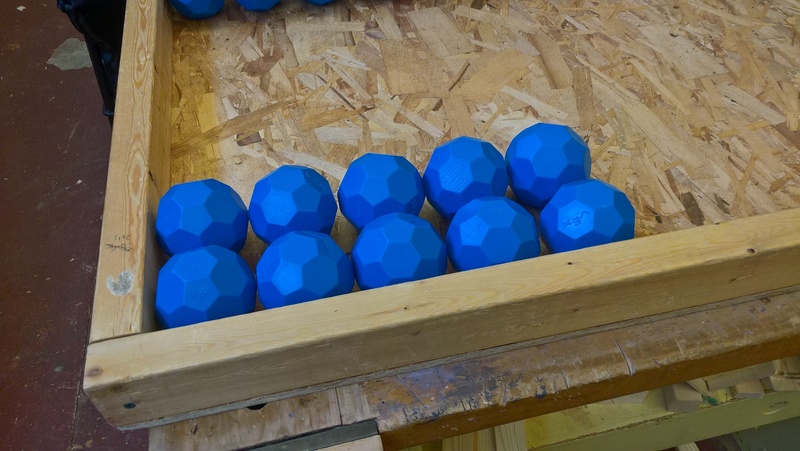 The game objects are buckyballs. 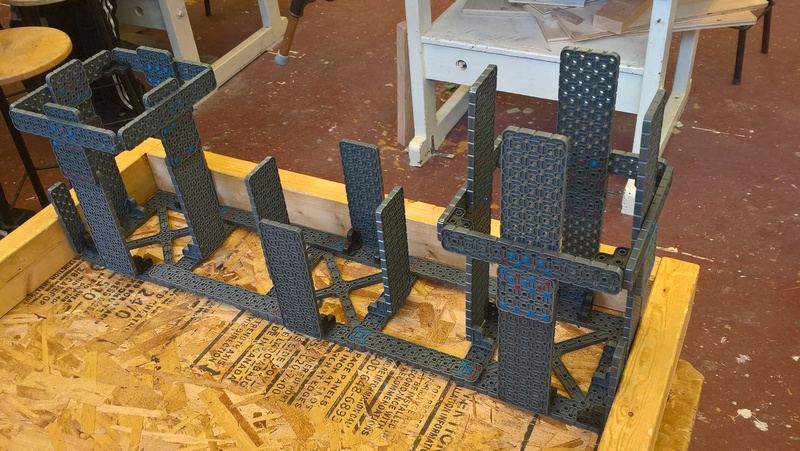 There will be 10 buckyballs on either side of the robot for a total of 20 balls. The game objective is to toss or place buckyballs through the box. There can only be one robot on the playing field. There are three boxes. There are two ways to score. 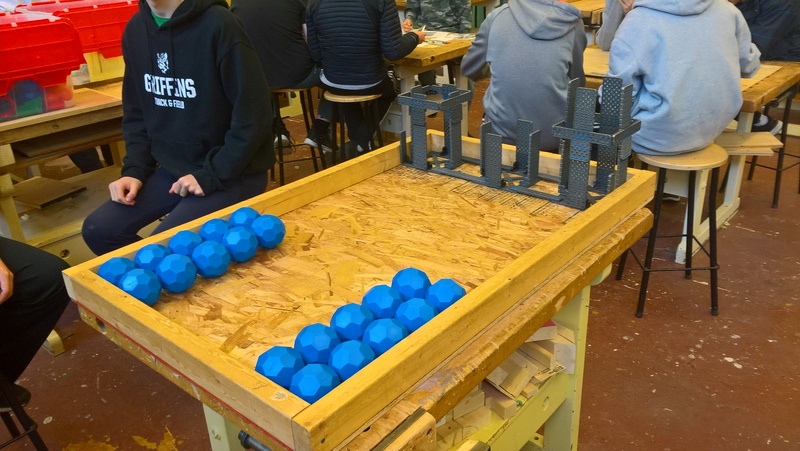 The first way is by placing balls in the box. The 6″ tall box is worth 1 point. The 9″ tall box is worth 2 points. The 12″ tall box is worth 3 points. When tossing balls through the box the points are tripled. If you are tossing the balls your robot must not pass the tossing line which is in front of the boxes. Otherwise if the ball goes in the box it will only count as if you placed the ball in the box. If you manage to toss 3 balls in a row the points for those 3 balls will double. For example, you could toss 2 balls into the 6″ tall box (total of 6 points) and then 1 ball into the 12″ tall box (9 points), if you made all three shots in a row it would be 30 points. Robots are not allowed to move the boxes. Balls that fall out of the boxes will not be counted. If any of the balls fall out of the game, it will not be placed back on the table during the duration of the game. There are no size restrictions for the robot. The robot team with the highest score wins. This game is a ‘Timed’ challenge (1 min) to see who can score the most balls. This is a Driver Controlled (Driver Mode) activity. This game can be set for Program Controlled (Autonomous Mode), for advance users.